Sonic is my number one favorite place to buy drinks in the Summertime. Heck, it’s my favorite ANY time. Since we don’t have one anywhere close to my house, whenever I go home to Arizona, or anywhere that has a Sonic for that matter, it’s one of the first places I go. I have been known to purchase two drinks (at least) for myself in one trip through the drive thru. It’s embarrassing really. 😉 The food isn’t as amazing but it is pretty good when you get to chase it down with one of the million awesome drinks they serve. Sonic Ocean Water is probably one of the BEST drinks they have. It’s so unique to Sonic and it’s ridiculously good. If you’ve never had it before, imagine a blue coconuty fizzy dream! Throw in Sonic’s famous ice pebbles and fahgettaboudit. Straight up amazing! 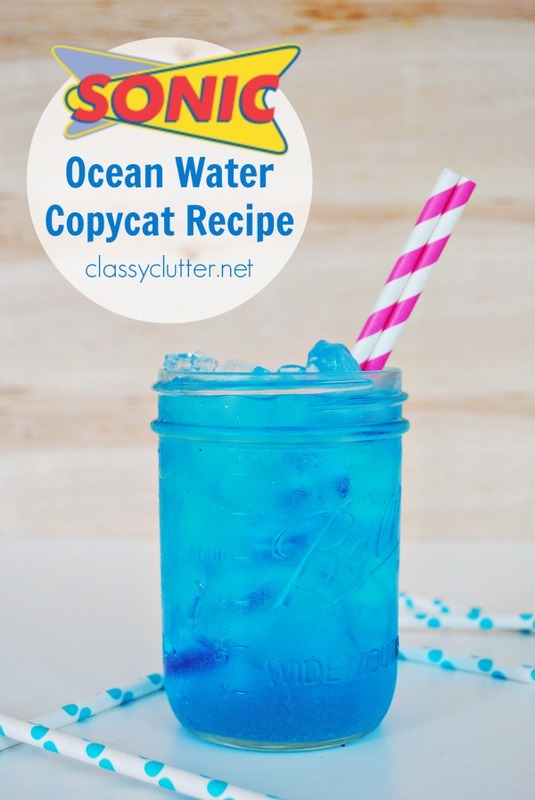 Today I’m sharing these delicious homemade version of Sonic’s Ocean Water Copycat Recipe you can make with just a couple ingredients. 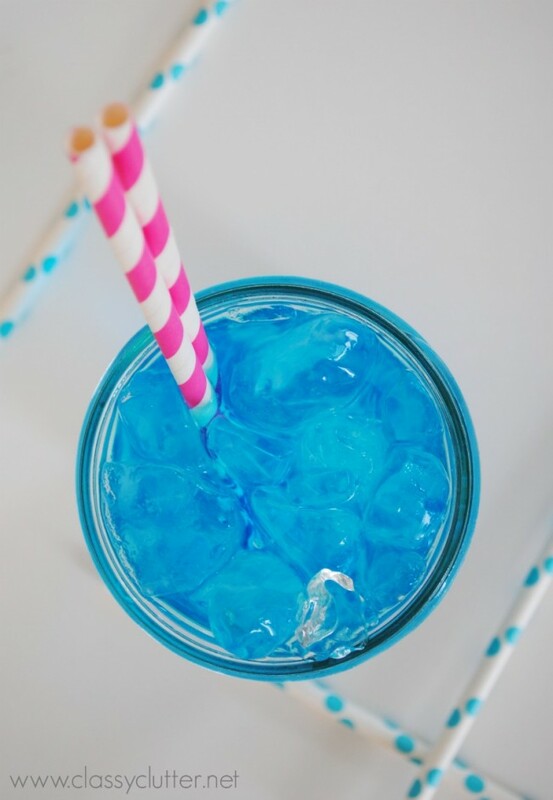 It tastes exactly like Sonic’s famous drink and it is so easy! If you can get your hands on some pebble or awesome crushed ice, even better. In a microwave safe bowl, mix white sugar and water and heat for 30 seconds in the microwave. 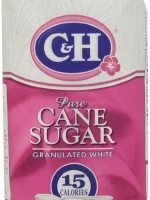 This should dissolve most of the sugar. 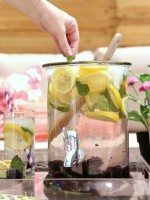 Add the sugar mixture to the lemon-lime soda, coconut extract and food coloring to a pitcher and mix gently. Pour it over some ice and you’ve got yourself the best dang drink ever. 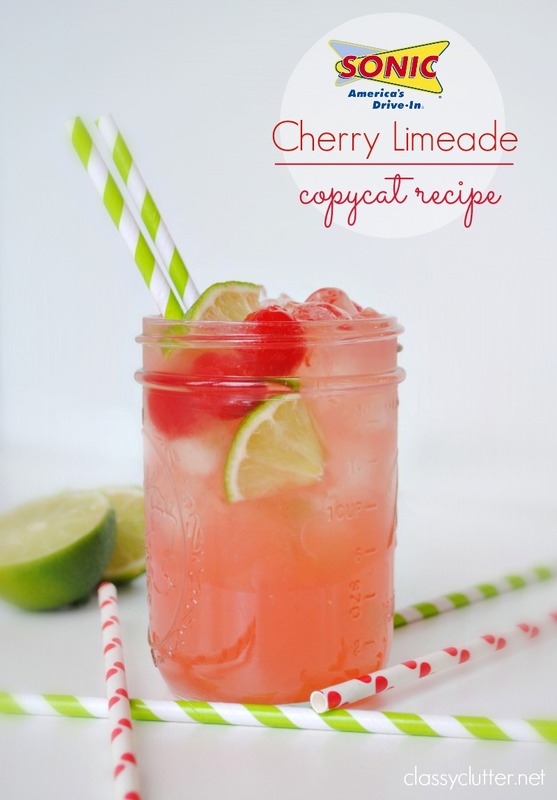 A close competitor with Sonic’s Cherry Limeade which you can also make at home with my recipe, thankyouverymuch. Do you have Sonic by your house? Do you like it? Just drinks or you love the food too? Both of these drinks look delicious! The closet Sonic to me is about 45 minutes away so I don’t get there very often! Excited to make these at home! Pinning! I love the ocean water and cherry limeades at Sonic. I mostly go there for the drinks because they rock! 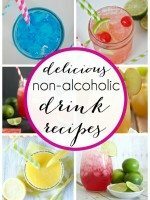 Found you through pinterest and I’m looking forward to trying your drink recipes. I love Sonic drinks, thanks for sharing. Found you at the Party Bunch link party. yummy! I live in Canada, so no Sonic here 🙁 I’m having a BBQ on June 14 and I’m hoping to make this! May I ask how much this recipe serves? THANK YOU SO VERY VERY VERY MUCH!!! You can get the coconut syrup at World market or lots of other places if you don’t feel like making it–it’s clear, not blue, but I think it’s the flavor you are after, anyway! Amazon has the blue coconut syrup. And if they are out of blue coconut, they use a little coconut flavor and blue powerade syrup instead. Worked there for 3 yrs in high school. I wanted a special blue drink for my son’s Sonic the Hedgehog birthday party. This sounded perfect. I needed enough for a crowd so I adjusted the recipe for 2 liters of Sprite. Used 2 cups of sugar and 2 cups of water. 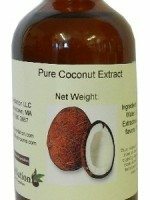 A full 2 oz bottle of coconut extract. 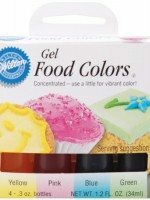 Didn’t measure blue food coloring – just added until I was satisfied. It was a huge hit! Thanks so much for posting this! 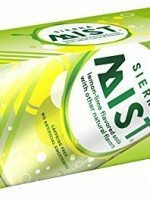 I have never tried the ocean water drink,because I didn’t know what it was. 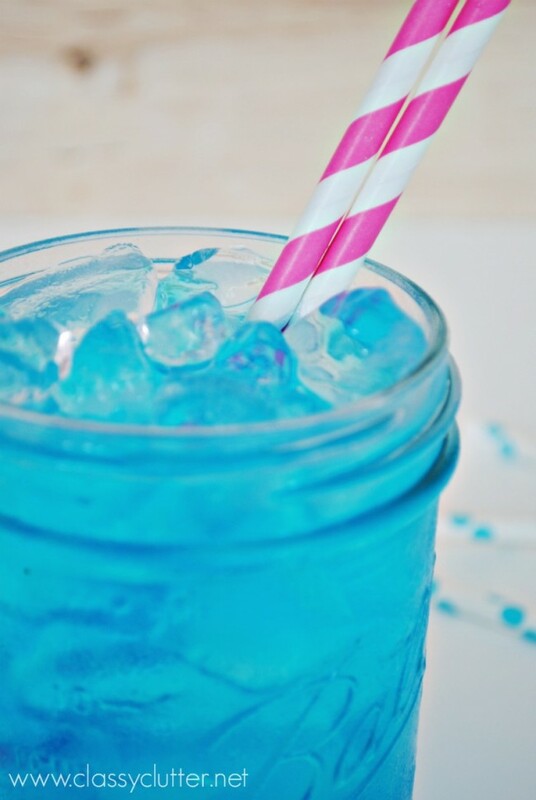 Ocean water doesn’t sound very good.I love coconut so I will have to try one.I live in a small town so I am only four blocks away from a sonic.Thanks for the recipe.Sonic ice is the BEST..We always pay a bag of ice to keep at home. Everything tastes better on sonic ice. I don’t know if most people know this, but Sonic sells their ice by the bag here. Love it! I just tried the Ocean Water recipe and it was delish! I will be using this recipe for my son’s birthday party! Thanks for the recipe! Yay! I’m so glad you like it! It’s my fave!! 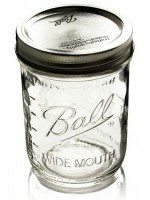 I wold like to make this drink for a large crowd 50+, and put it in one of those clear beverage dispensers. 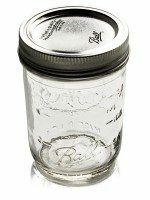 Anyone have a recipe conversion they would like to share? LOVE Sonic drinks! This is one of my favorites!! Just reading this I want an Ocean Water slush. 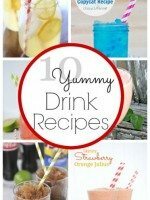 I’m glad I can make one of my favorite drinks at home now. Now if only I had a ice machine that makes Sonic ice… Thanks for sharing!